Last summer I attended an extraordinary dinner at Los Angeles Food and Wine called Dining with the Michelin Stars. One of the featured chefs was David Kinch of Manresa in Los Gatos. 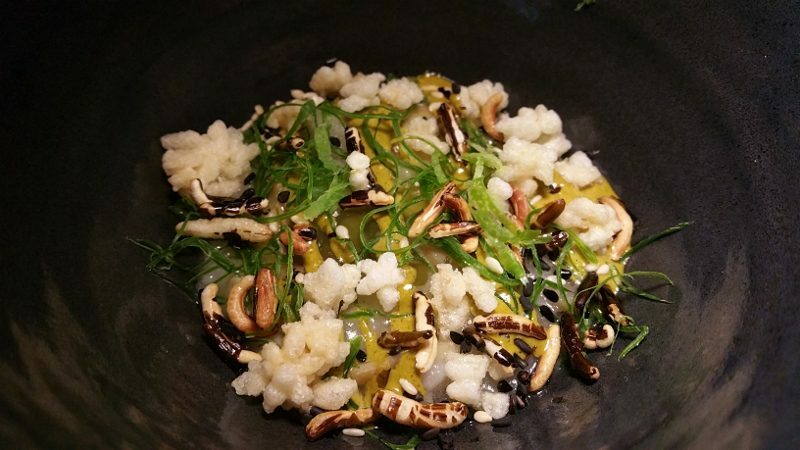 After eating his delicate Beggar’s Purses and Beef with Pole Beans, Puffed Rice and Onion Broth at the dinner, I swore that a dining experience at Manresa was on the top of my list. But, the only issue was, when would I be in Los Gatos? Well, it happened! After a weekend at Pebble Beach Food and Wine, my friend and I were flying out of San Jose Airport and Los Gatos is just 15 minutes from the airport. So, despite all the eating we had done over the weekend, we hightailed it out of Pebble Beach when the event ended and drove straight to Los Gatos. Los Gatos is a charming little town that looks like it was lost in time. Our navigation took us down a few streets (a few arguably seemed like ally-ways) and we pulled up in front of Manresa. 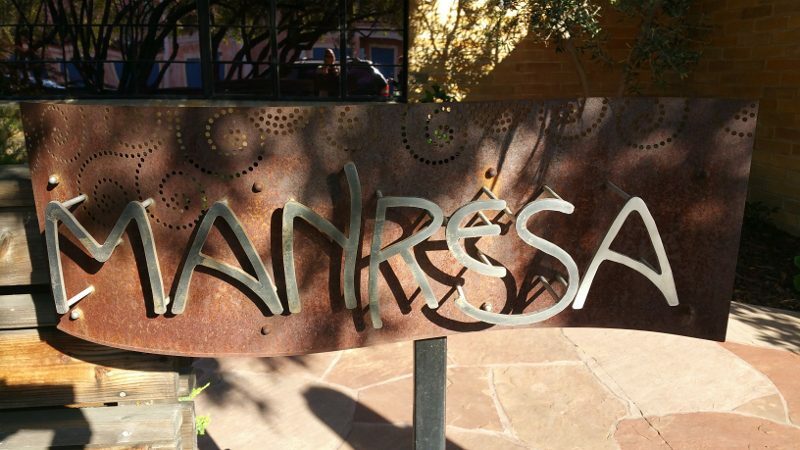 Manresa opens for dinner at 5:30pm (the bar opens at 5:15pm). 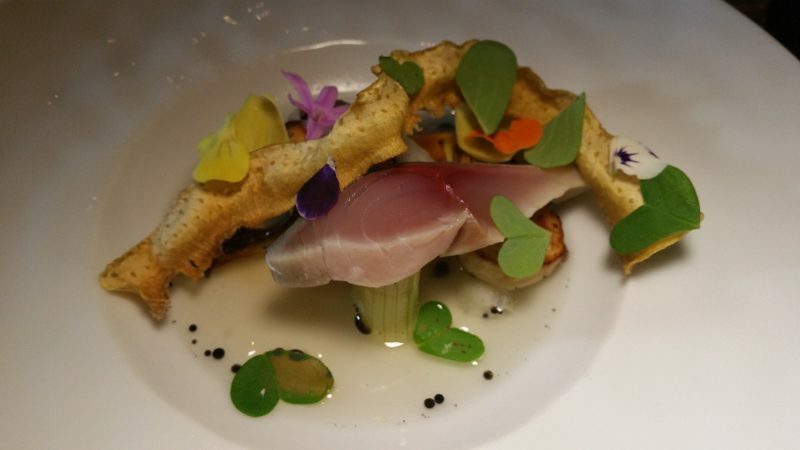 The restaurant offers a 14-course tasting menu for $198 and takes about three hours. Sadly we only had about one and a half hours before we had to head to the airport. 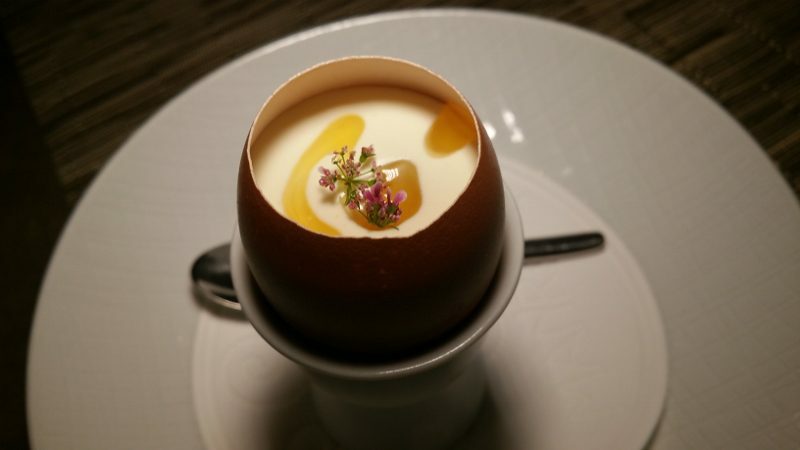 But, the good news is that if you sit at the bar, Manresa offers an abbreviated tasting menu called “Bar Bites.” It’s five courses (pulled from the full tasting menu) and was what we had time for. From the moment we walked in, we felt welcome and at home. We were dressed somewhat casually for the simple but elegant restaurant. But, we were greeted by the most professional team who took our coats and happily escorted us to the bar where there are four stools. Everyone was so friendly, accommodating and accessible, but also subtle and non-aggressive. 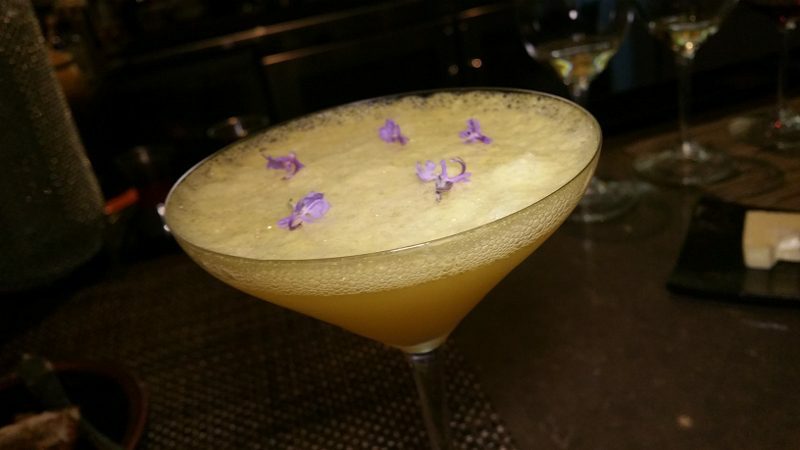 We started with cocktails, as beautiful to look at as to taste, made by bartender Allyson Michaels. The drinks, like the food, use produce almost entirely sourced from Love Apple Farms in the Santa Cruz Mountains. 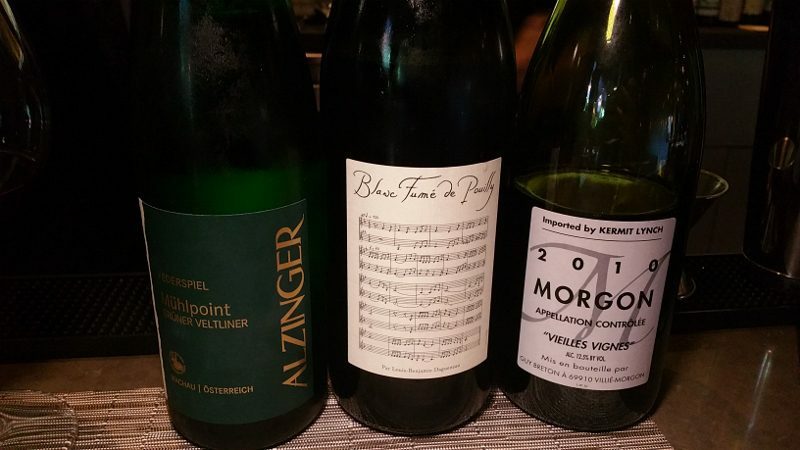 As the food started to come out, I asked Wine Director Jim Rollston to do a wine pairing for our Bar Bites menu and he selected three wines – a Grüner Veltliner from Alzinger Mühlpoint Federspiel, a Blanc Fume de Pouilly from Didier Dagueneau, Loire France and a Grenache from Morgon Vielles Vignes. And then the food started coming. 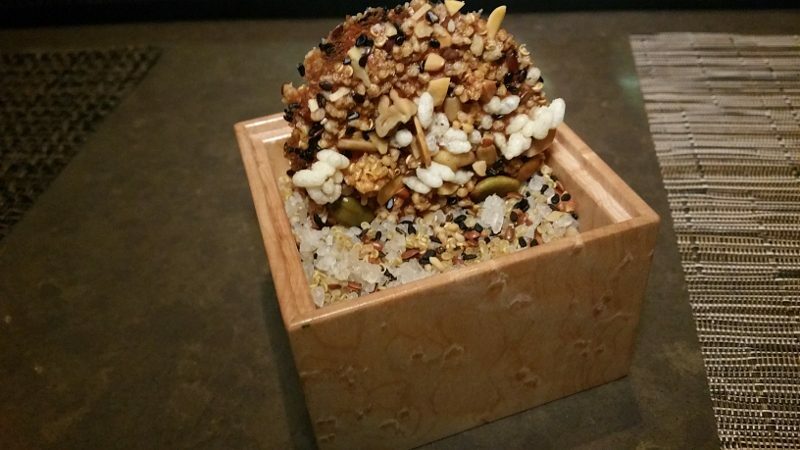 A cracker packed with flavor, the Granola Crisp was the first little dish placed in front of us. We then enjoyed two amuse bouche. 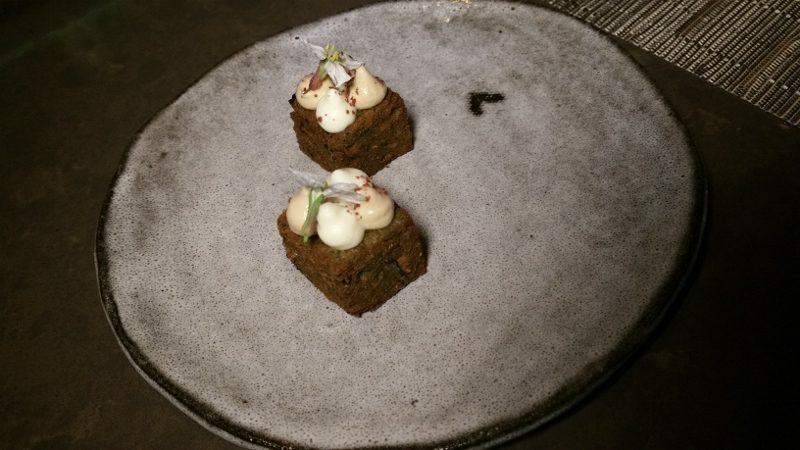 The first was Green Garlic Panisse with Meyer Lemon and Sumac Cream. This chickpea flour cake is made with green garlic, which is the first garlic harvested before the bulb forms. A perfect little bite that is warm with a thin crust and then earthy and soft inside. 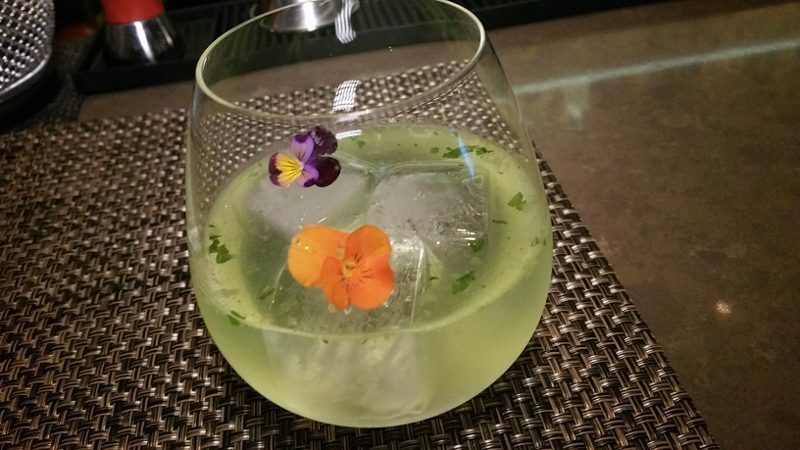 This is a signature dish of David Kinch and it can be found in his cookbook: Manresa: An Edible Reflection. Luckily, the recipe makes about 100 of these little 2-inch pieces of happiness so it can enjoyed over and over! The Farm Egg with Coriander was placed in front of us and we were visually in awe of it. We just kept admiring its beauty and didn’t want to touch it. But, then we dipped our spoons into the luxurious shell filled with egg, cream sherry vinegar and aged maple syrup. I immediately declared that this was the best dish of the night…..but we were just getting started. I have since read that this recipe is also in Chef Kinch’s book so I think I know what book is on my list (although I don’t know if I could make this taste as good as Chef). 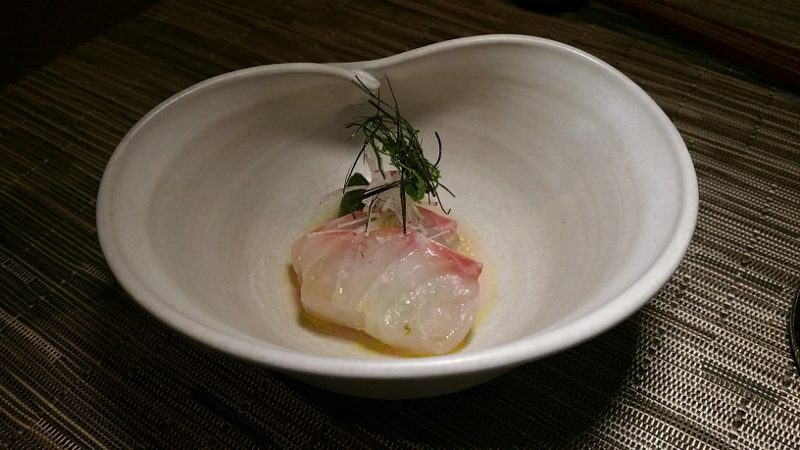 We were captured by the simplicity and clean flavors of the Sea Bream and Spicy Radish with Asparagus. And then the Vegetable and Mackerel with Barigoule came out and the presentation alone was stunning. The mackerel is a meatier fish and the broth was so delicate. I ate every possible drop that I could. Our final course, before dessert, was Abalone Porridge and Black Vinegar. This earthy dish has great texture between the creaminess of the porridge and the crunch of the rice puffs. As we were enjoying the courses, we learned that Manresa makes its own bread and they have a bakery next door, Manresa Bread. 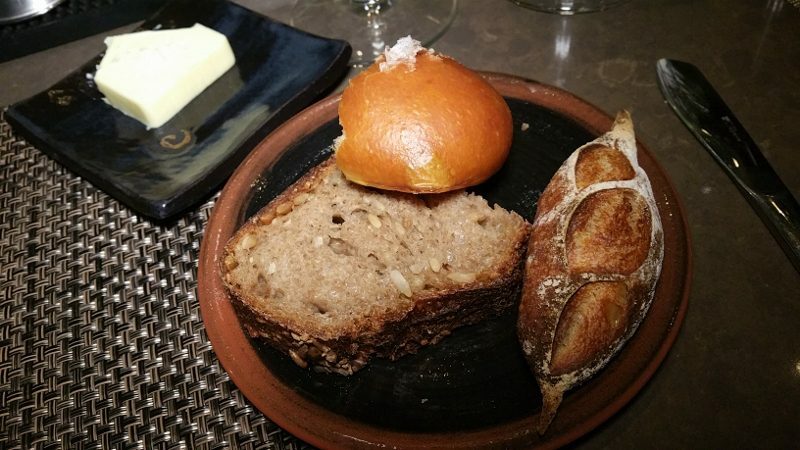 The breads with their crunchy crusts and soft insides are served with sweet house-made butter sprinkled with house-made salt….my perfect combination. 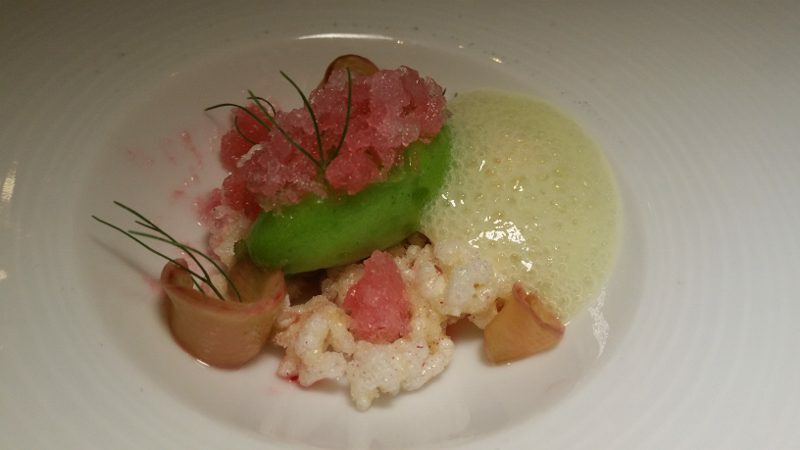 While we in no way ready to finish our meal, it was time for dessert – Pernod, Rhubarb and Fennel Frond Sorbet. There are so many flavors in this dish – tart, sweet, herbacious – and the textures – creamy, icy and crunchy, but it is still so delicate. 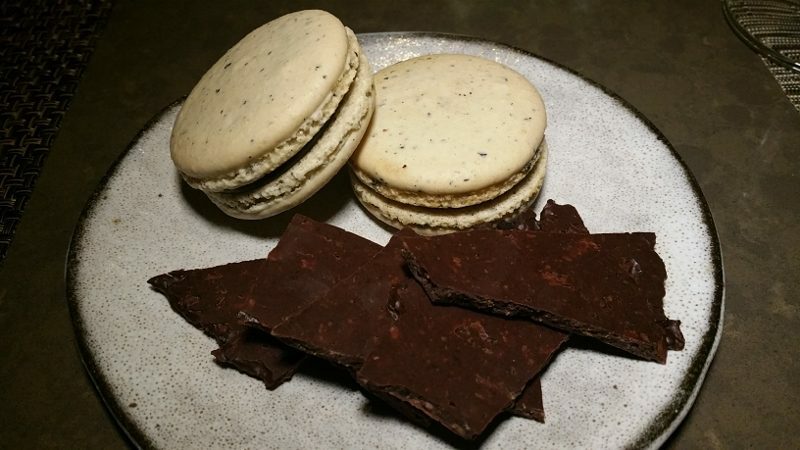 The clock was ticking and we had to get to the airport but there was one more dish, mignardes of Black Sesame Macarons and Chocolate Peppermint. What a perfect way to end the night. Manresa is a true experience. The attention placed in every dish and the plethora of flavors that merge on the palate are more than words can express. I cannot wait to go back to Manresa for the full tasting menu. I am thinking that a weekend getaway in Los Gatos is in order. This entry was posted in Cocktails, Food, Wine and tagged bar bites, Cocktails, David Kinch, DrinkWire, Farm Egg, fine dining, food, food and wine pairing, Green Garlic Panisse, Liquor.com, Los Gatos, Love Apple Farms, Manresa, tasting menu, Wine by Allison Levine.